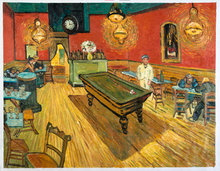 Only one of the two café paintings done by Vincent Van Gogh, the Interior of a Restaurant falls into somewhat restrained impressionist category, and it is an impeccable masterpiece. Brushstroke by brushstroke, the oil reproduction of Interior of a Restaurant is done by our experienced artists who have carefully studied Van Gogh’s painting techniques for years. However, if you are in any case not satisfied with the final painting, then you can take advantage of our 100% money back guarantee. 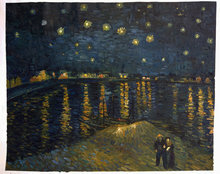 This painting dates back to 1888 when Van Gogh was living in Arles. 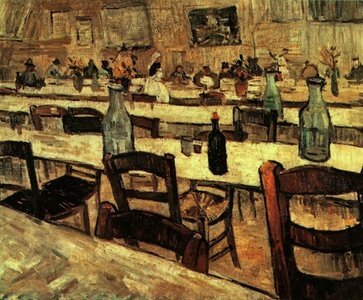 The restaurant painted by Van Gogh was supposedly owned by a friend of his, Ginoux. Van Gogh had a deep interest in Japanese art and that is clear in this painting as well with buoyant spaciousness and luminous glow. 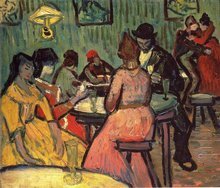 In fact, during his time in Arles, Van Gogh collected many Japanese prints at held exhibitions at Café du Tambourin. 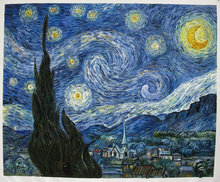 But the funny part is, restaurants and cafés never interested Van Gogh much. 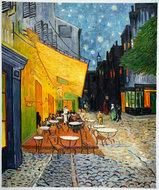 That is why, this is one of the few paintings with a café scene pictured him. And this makes this painting all the more rare.